Mennel is preparing for the future of the milling industry by offering a generous scholarship program to local students pursuing a degree at Kansas State University in the Milling Science and Management program. Originally established in 2010, the Mennel scholarship may be awarded annually to an eligible student. The goal of this scholarship is to provide financial assistance to full-time students enrolled in Milling Science and Management at K-State. It allows for non-Kansas resident students to attend at the cost of in-state tuition. In addition to meeting academic requirements, the recipient must reside in a state in which Mennel operates; currently Ohio, Michigan, Illinois, Indiana, Virginia and North Carolina. Learn more about Mennel's KSU Scholarship and other career advancement opportunities, visit the careers page. 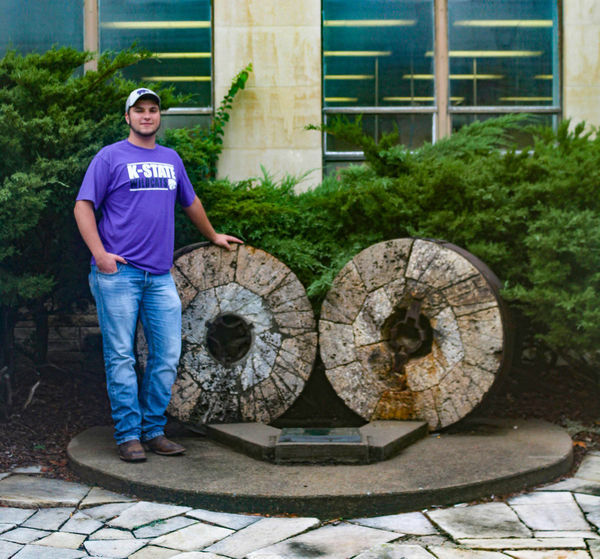 Nolan Brennan, a Bowling Green, Ohio native and student at Kansas State University, was awarded Mennel's KSU Grain Science Scholarship for the 2017 - 2018 school year.